The Transmission Systems Lab Houses all the equipments needed for long distance communication. It offers training in programming of the systems and measuring various parameters, to establish and maintain a stable communication link. Trainees are exposed to sophisticated measuring instruments, like SDH Analyser ANT20 of JDSU make, PDH Analyser, OTDR, Fusion Splicing Machine etc. 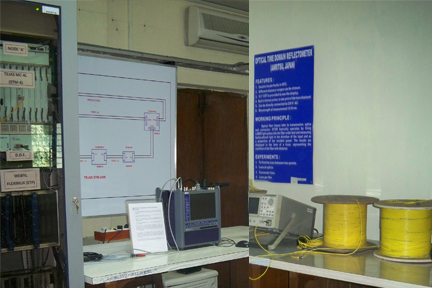 This lab imparts training on MW, OFC, PDH and SDH equipments upto STM-4.